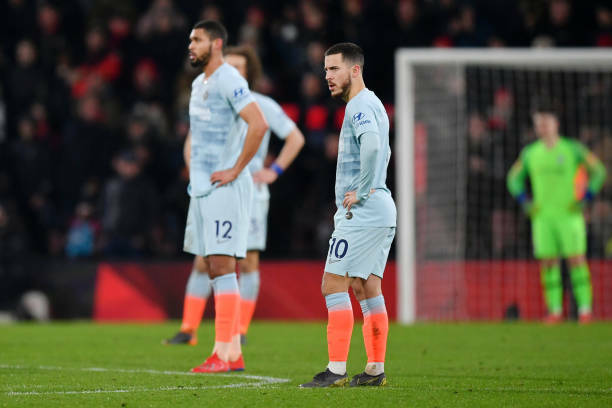 Chelsea dropped out of the top four of the Premier League after a shocking 4-0 defeat at Bournemouth as Joshua King scored twice at the Vitality Stadium. 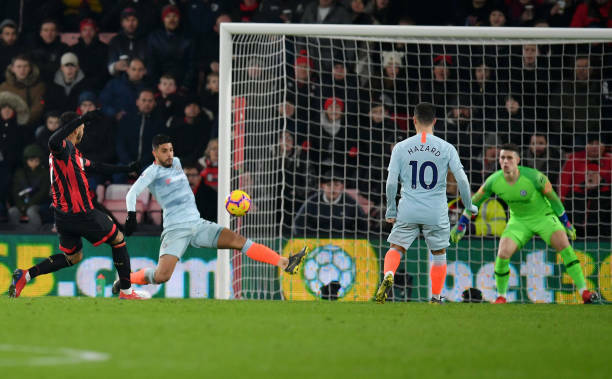 A memorable win was secured with all four goals coming in a rampant second-half display for the Cherries, with Blues boss Maurizio Sarri receiving flak from the travelling support. King struck either side of setting up David Brooks before Charlie Daniels headed in a last-gasp fourth which saw Chelsea drop to fifth, below London rivals Arsenal on goal difference. The defeat was Chelsea’s third in a row on the road in all competitions and Sarri’s decision to haul off Premier League debutant Gonzalo Higuain after Brooks’ strike was met with disdain from the visiting fans. Blues supporters will also be demanding an explanation as to why Callum Hudson-Odoi was omitted from their matchday squad altogether. The 18-year-old travelled to the south coast but was left out of the squad a week after handing in a transfer request amid ongoing interest from Bundesliga giants Bayern Munich. Liverpool failed to take full advantage of Manchester City’s slip-up in the title race as they were held 1-1 at home by Leicester. 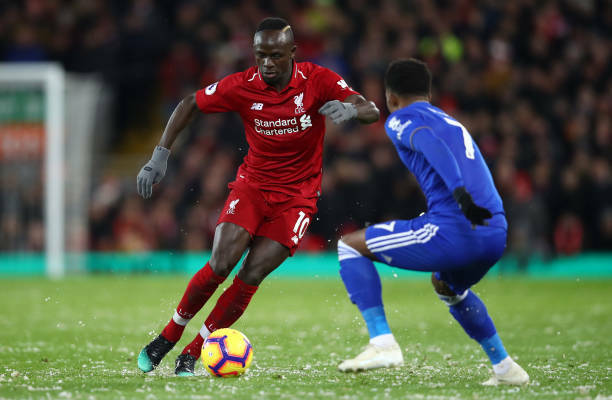 It extended their advantage at the top of the Premier League to five points but manager Jurgen Klopp would have expected more after taking a lead inside three minutes through Sadio Mane. He would have been even less impressed with a number of penalty claims which referee Martin Atkinson waved away and positively apoplectic about the marking which allowed Harry Maguire to equalise in first-half added time. Leicester, who weathered the early storm and came on strong in the second half, ended a three-match losing streak with a determined performance. Their recovery will give under-pressure manager Claude Puel encouragement after going behind to Liverpool’s quickest league goal 121 seconds for almost three years. Liverpool’s unbeaten home record was extended to 32 league matches but the first dropped points at Anfield since October meant the sense of a missed opportunity was palpable at the final whistle. Late goals from Son Heung-min and Fernando Llorente saw Tottenham come from behind to secure a 2-1 win at home to Watford. Craig Cathcart nodded the Hornets ahead after Spurs keeper Hugo Lloris flapped at a corner. But Son, who only returned from Asian Cup duty with South Korea on Saturday, struck with 10 minutes remaining following Llorente’s run into the box. And the much-maligned Llorente, again leading the line in the absence of injured Harry Kane, ensured Spurs took the three points when he headed in Danny Rose’s 87th-minute cross. James Ward-Prowse scored a vital equalising goal as Southhampton continued to build momentum in their battle against relegation by coming from behind to draw 1-1 at home to Crystal Palace’s 10 men. Wilfried Zaha had put the visitors on course for victory by ending his lengthy goal drought with only his fourth goal of the season towards the end of the first half. With defeat looking likely Southampton then showed further signs of the resilience Ralph Hasenhuttl has developed since his appointment in December. They had taken seven points from nine in their previous three Premier League games and secured their latest when Ward-Prowse scored for a third league match in succession to take them above Burnley and up to 16th as Zaha received a late red card.